While GCSE RS will stay the same, RS for all other year groups will become Religion, Philosophy and Ethics, or RPE for short. This is because we feel it reflects what students are taught more accurately. 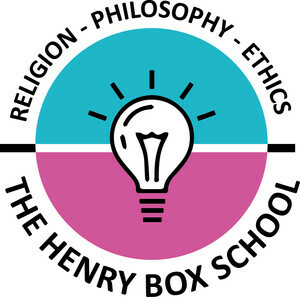 Students at Henry Box will have the opportunity to learn about the historical, geographical and cultural context of Christianity, Islam and Judaism, while also exploring the relationship between them and the impact this has today. Students will also learn about the key beliefs and practices of Hinduism, Sikhism and Buddhism and they will find out what makes these religions unique. As part of Philosophy and Ethics, students will examine some of the big questions facing our world today, such as whether we can save the planet, what makes an action right or wrong and whether there is a God.